We were coursemates at the CHE (Certified Hospitality Educator) training program; that’s the first time I met her. She came across as a level headed, matured and a through professional; I had just started my teaching career then. We were together for a short duration and interaction was limited to group activities and assignments. Met her later when I visited her institute as an external examiner for the University exams and have kept in touch since then. We also have a common group of friends that got me to know more about this extremely dynamic educator and hospitality leader. Her professional journey has been diligently planned and can see the hard work that she put through each role she played and position she held. It gives me immense pleasure to have on IWH, the incredible story of Dr.Ruchita Verma, Dean at the NMIMS’s School of Hospitality Management, Navi Mumbai, India. She has been a mentor to many hospitality professionals and an inspiration the others. Dr. Verma is a results-oriented professional with a solid academic presentation holding a Doctorate in Management and over 26 years of experience of working in hospitality & design academics in various positions. She says that she had a humble beginning as a lecturer and has worked her way up to a position of a Director/Dean. During her illustrious career, she has held many portfolios. She was the Campus Director for Pearl Academy, Mumbai. 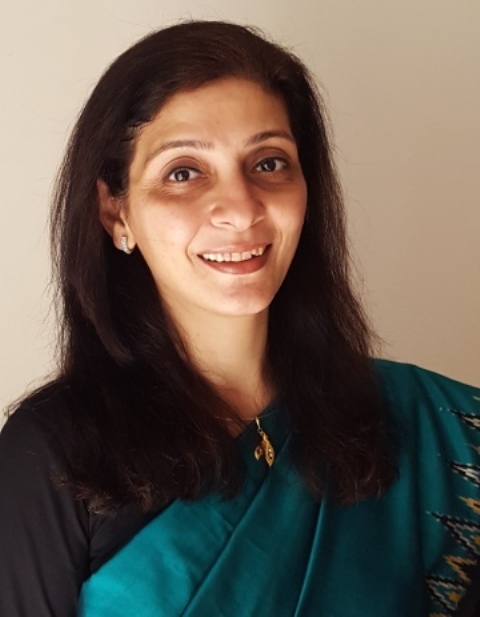 Ms. Verma has also held the position of a Group Director for ITM Group of Institutions where she headed four hospitality schools and one fashion & design school from their conception to successfully operational institutions. In her past two assignments her overall responsibility included spearheading the entire gamut of academic and administrative functions, driving strategic functions for ensuring institutional profitability and growth. She also led the business development function with contributions in improving institutional visibility and brand development. Ms. Verma played a major role in managing the end to end requirements for getting the validations by engaging in negotiation with the Deans, Presidents & Vice Chancellors of renowned universities in USA, UK, Australia, Canada, France and was instrumental in facilitating collaborative relationship with them. She is familiar with regulatory and statutory requirements and managed the end to end requirements of the accrediting bodies and local government agencies. As a Researcher she has contributed insightful research papers and articles and has organized conferences, seminars workshops, study tours and talk invitations. Ms. Ruchita Verma can be called a proper ‘Bombay born, Bombay bred’ woman! While she was born in South Mumbai, she stayed in Bandra for the better part of her youth. She did her schooling from the famous Jamnabai Narsee School (JNS) where she studied amongst the star kids of Mumbai; who today are among the top Bollywood actors and actresses. Her father was one of the few parents from the working class there ; she and her brother were amongst the children who came from non famous backgrounds. While most of the children were using branded things such as Nike shoes and imported bag packs, the siblings used the brand of the masses, Bata shoes and the traditional khaki bag pack. Growing up in an ultra-rich environment helped rub the sophistication on her; at the same time made her determined that one day she would be able to afford all the ‘Nikes of the world’ without blinking an eyelid. After JNS, she studied at SNDT College, Juhu, Mumbai followed by Hotel Management at IHM Mumbai. Studying hotel management was her true calling. From day one she was raring to go and did well in college. However, she came from an era where parents had only one dream for their daughter which was to get her married. So she was her married off when she was barely 20 and was still studying in college. 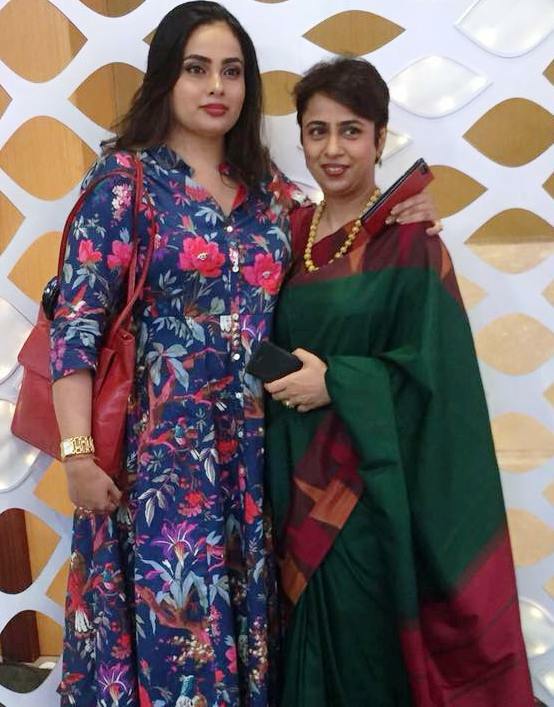 Since Ruchita was already married, she started her career working as a Management Trainee at the Raheja Group of Hotels way back in 1991. This was followed by a short stint in Sales & Marketing for the Ambassador Hotels. In 1993 many private catering colleges were coming up in Mumbai & Navi Mumbai and there was a dearth of faculty. 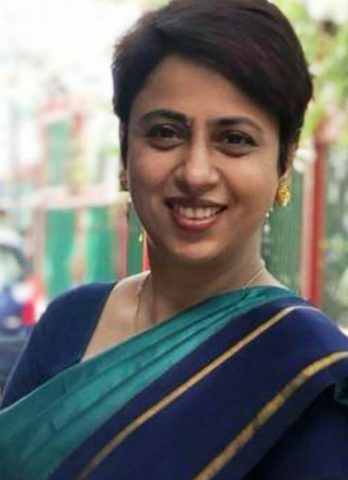 By sheer chance she got to know about an opening at the Bharti Vidyapeeth Institute of Hotel Management and joined them as a lecturer in 1993 at the young age of 23! Some of the students in her first year of teaching were older than her! After a decade in BVHMCT, She was head hunted by a new college opening in the neighbourhood in 2002. Thus started her exciting journey of professional development with ITM Group of Institutions. She started working for ITM’s IHM as a lecturer, went on to become the Vice Principal, Principal, Director and eventually the Group Director heading all their hospitality institutes across the country and additionally their design institute about 2 years before she left. It was at ITM that she met her life coach, her mentor and role model – Dr. P.V. Ramana. She says, “It was because of his encouragement and direction that I grew professionally. His style of management was to challenge our potential, get us out of our comfort zones and seek the impossible. I truly grew as an individual and as a professional in ITM. It was also during my tenure that I had the opportunity to travel through our country and a good part of world”. IWH had a few questions for Dr. Verma that she graciously answered. IWH : What have been the high points of your career? Dr. Ruchita Verma: There have been many incidents that I consider as important or high points of my career. Meeting some very important and exciting people. The opportunity to open new institutes and nurture them. Traveling across the country and throughout the world. Most important – engaging with different communities of parents and successfully nurturing more than 2000 students over 26 years of academics. The best awards and accolades of my career have been my students being placed in top positions in best hospitality groups of the world. Meeting Vice Chancellors, Deans, Directors of various international universities across the world and doing 9 successful validations in 13 years. IWH : What challenges have you faced as a woman in the industry? Dr. Ruchita Verma: Authenticity – I have struggled with being able to be myself in a leadership role where I have had to act against what I held as values close to my heart. For instance, I tend to value compassion more than men, which can be in direct conflict in a highly competitive work environment. Therefore, to be successful in that environment, I have had to sometimes act against my own deeply held values. I feel men, more than women, can succeed merely by ‘being themselves’ because they match other people’s concepts of what leaders are like. Women face more complexity because they may have somewhat different values and attitudes than most of their male counterparts. As a woman leader I have been called emotional when I may just be compassionate. But it is important not to let one’s personal style get in the way of being heard. So it is important to listen to the cues of others. I imagine most leaders would characterize authenticity as ‘behaving the way you always have’ – but for me that equation doesn’t quite add-up. To survive in a modern workplace, emotional and political sensitivity must act as filters, which sometimes hold us back from being our authentic selves. I hold all kinds of hopes, fears and opinions that are entirely authentic to me, but which would undoubtedly damage my leadership effectiveness if shared them all with my team. In order to be the most honest, coherent and value-based leader, I believe that leadership identity should evolve, every time a significant change is made. IWH : What do I think of IWH? Dr. Ruchita Verma: Women in hospitality are few; therefore, they are unique. I also believe that all women in the hospitality industry are those who live life on their own terms and conditions. These are the women who have broken the boundaries of societal stereotypes. Therefore, by creating a platform like IWH is liberating in itself. Kudos to Ms. Laxmi Todiwan, IWH will be a force to reckon with. It is a great opportunity for the women to come together as a community of strong women; IWH will surely make a mark not just within the industry but also in the society. Have goals and nurture them. Fuel them continuously and guard them against storms. Attain a balance in life. Balance means ensuring good health, relationships, professional development and inner peace and happiness. Deal with disappointments – accept them as a part of your life, challenge them and move on. Think back but move forward! Life is not always fair – so accept that some people are luckier than you are. So be grateful and accept what you have. At the same time have the strength to accept what you don’t have. Enjoy life – As Chetan Bhagat has said, don’t be serious, be sincere. Life is temporary with a limited validity. So it is okay to enjoy life, make mistakes, fall in love etc. As long as you have the sincerity and strength to realize that not all storms come to disrupt your life, some come to clear the paths as well. What a conversation we had with this inspirational lady. I am sure her story will help the readers especially the ones who want to embark on a teaching career and motivate the ones who are already into the profession to have higher goals.